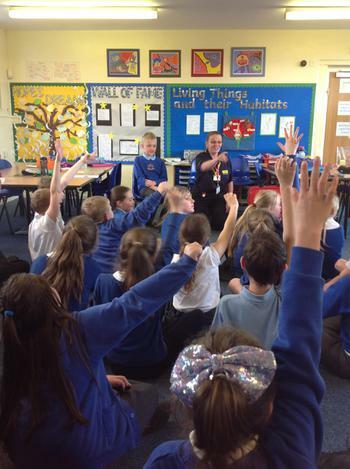 On Thursday 26th April, 5SG welcomed Mrs Etches who is a First Responder with LIVES. She supported our work on First Aid in PSHE through re-enacting and discussing real life scenarios. Mrs Etches also brought in her equipment to show us! Thank you for helping to improve our understanding of First Aid!